To investigate the prognostic role of early post-infarction cardiac magnetic resonance (CMR) on long-term risk stratification of ST segment elevation myocardial infarction (STEMI) patients with preserved left ventricular ejection fraction (LVEF). Seventy-seven STEMI patients treated by primary percutaneous coronary intervention (PCI) and LVEF > 50% at CMR were included. The median time between STEMI and CMR was 5 days (IQR 2–8). LV volumes and function, area at risk (on T2 weighted images), infarcted myocardium (on late enhanced images), intramyocardial hemorrhage, and early and late microvascular obstruction (MVO) were detected and measured. CMR tissue determinants were correlated with the incidence of major adverse cardiovascular events (MACEs) over a 5-year follow-up. During median follow-up of 4 years (range 3 to 5 years), eight (10%) patients experienced MACE, yielding an annualized event rate of 2.1%. All CMR tissue markers were not significantly different between MACE and no-MACE patients, except for the presence of late MVO (50% vs. 16%, respectively; p = 0.044) and its extent (2.30 ± 1.64 g vs. 0.18 ± 0.12 g, respectively; p = 0.000). From receiver-operating characteristic (ROC) curve (area under the curve 0.89; 95% confidence interval, 0.75–1.0; p = 0.000), late MVO extent > 0.385 g was a strong independent predictor of MACE at long-term follow-up (sensitivity = 87%, specificity = 90%; hazard ratio = 2.24; 95% confidence interval, 1.51–3.33; p = 0.000). Late MVO extent after primary PCI on CMR seems to be a strong predictor of MACE at 5-year follow-up in patients with LVEF > 50%. Noticeably, late MVO extent > 0.385 g provided relevant prognostic insights leading to improved long-term risk stratification. • The occurrence of late microvascular obstruction after acute myocardial infarction increases risk of major adverse events at 5-year follow-up. • The greater microvascular obstruction extent on late gadolinium enhanced images is related to an increased risk of adverse events in patients with myocardial infarction and preserved left ventricular function. 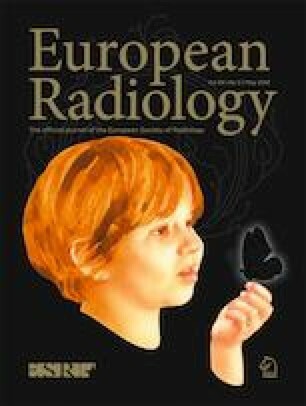 The scientific guarantor of this publication is Marco Francone, MD PhD, EBCR.